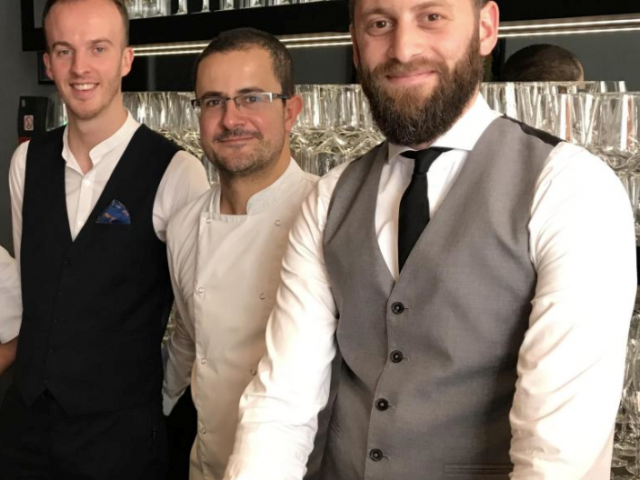 Returning from the United States, passing through Paris to finish with Marc Meurin, accompanied by the chef Gaétan Citerne who had made his arms at Alain Ducasse and Marc Meurin, Sami Sfaxi opened the restaurant L ' Arc , at 10 rue de la rue des Bouchers , in the city center of Lille. With its open kitchen, the restaurant L ' Arc welcomes you in a convivial atmosphere and proposes a seasonal kitchen, centered on the homemade and turned on the fresh products. The will is to highlight local producers but also the fine products of our French territory. Do not hesitate to contact us for any information.